Audio Record Edit Toolbox Pro is a professional audio editor and recorder, which completely control over all aspects of audio editing and mastering. 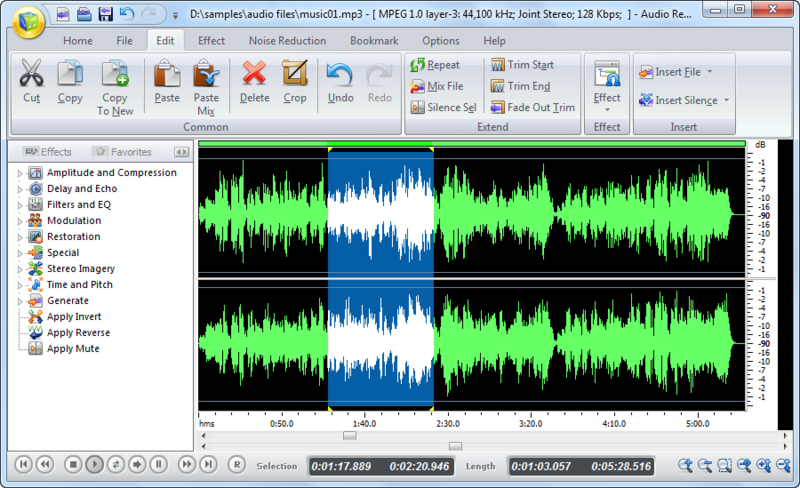 It contains all features of Audio Record Edit Toolbox. It performs precise editing and creates 30+ audio effects & filters. It is your last destination for professional audio recording and mastering, sound design, audio restoration, and audio CD creation. Audio Record Edit Toolbox applies you dozens of amazing audio effects to change all parameters of audio file to make your unique effect. You are empowered to select between 20 built-in effects and filters including Amplify, Delay, Equalizer, Fade, Flange, Invert, Echo, and more to add to the audio file, or mix audio and blend several audio tracks to get wonderful music. You can also use specially designed filters to remove irritating sounds like roaring, hissing, crackling, etc. The built-in audio merger allows you to join audio files perfectly! It directly joins the separate audio files into a single audio track with the same or different formats to MP3, WMA, WAV and OGG for various usages without recompression, maintaining the original quality. Now you can enjoy your favorite music without interruption on your music player. Audio CD Ripper is built into Audio Record Edit Toolbox Pro so you can easily rip music tracks from audio CD into WMA or WAV without launching any other application. It is also able to directly load an audio CD track into the editor waveform window to edit & save as MP3/WMA/WAV/OGG format on your hard drive. You can retrieve disc album info like artist, track name, title, etc. from free CDDB online database. Our simple-to-use tag editor allows you to change tagged information about your WMA music files. You can edit the Title, Artist, Album, Genre, Year, Frequency, Bitrate, Duration, etc. for the selected WMA music.